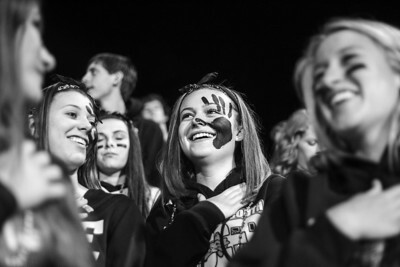 Sarah Nader- snader@shawmedia.com Syd Feetterer (center), 16, of Crystal Lake listens to the National Anthem while attending Friday's football game against Cary-Grove October 24, 2014. 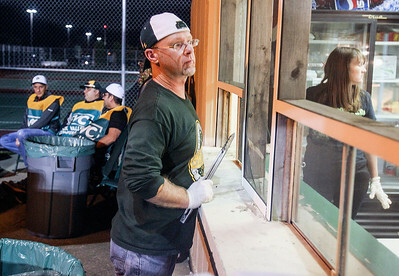 Sarah Nader- snader@shawmedia.com Booster member Brian Bright of Crystal Lake waits for some hot dogs while grilling at Friday's football game at Crystal Lake South October 24, 2014. Sarah Nader- snader@shawmedia.com Cary-Grove's Larkin Hanselmann celebrated a touchdown he made during the first quarter of Friday's football game against Crystal Lake South October 24, 2014. 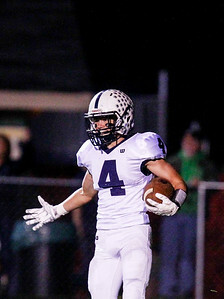 Cary-Grove won, 47-7. Sarah Nader- snader@shawmedia.com Cary-Grove's Larkin Hanselmann makes a touchdown during the first quarter of Friday's football game against Crystal Lake South October 24, 2014. 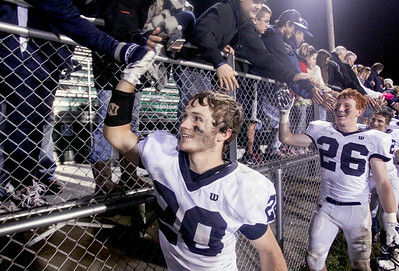 Cary-Grove won, 47-7. 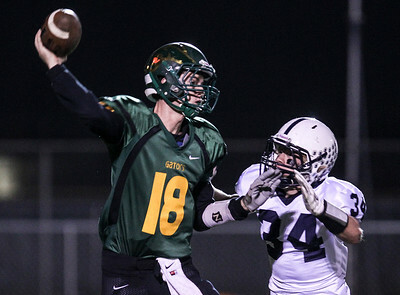 Sarah Nader- snader@shawmedia.com Crystal Lake South's Luke Nolan (left) is guarded by Cary-Grove's George Hartke while he throws a pass during the third quarter of Friday's football game at Crystal Lake South High School October 24, 2014. Cary-Grove won, 47-7. Sarah Nader- snader@shawmedia.com Cary-Grove's Jason Gregoire runs the ball during the second quarter of Friday's football game against Crystal Lake South October 24, 2014. 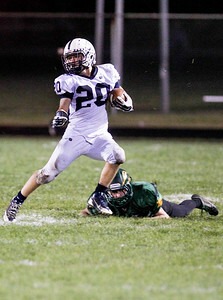 Cary-Grove won, 47-7. 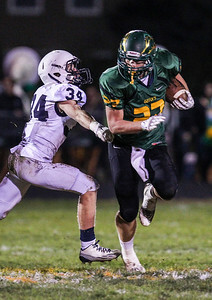 Sarah Nader- snader@shawmedia.com Cary-Grove's George Hartke guard's Crystal Lake South's Kyle Bartusch during the third quarter of Friday's football game October 24, 2014. Cary-Grove won, 47-7. 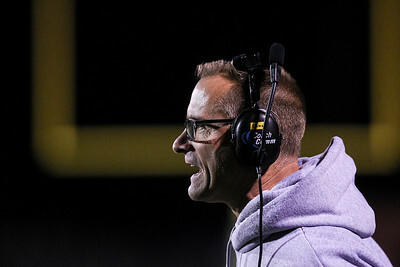 Sarah Nader- snader@shawmedia.com Crystal Lake South's head coach Chuck Ahsmann watches Friday's football game against Cary-Grove October 24, 2014. Cary-Grove won, 47-7. 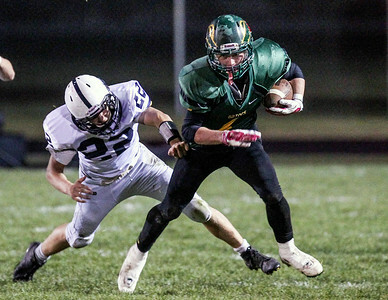 Sarah Nader- snader@shawmedia.com Cary-Grove's Kyle Mueller (left) guard's Crystal Lake South's Dan McSweeney during the fourth quarter of Friday's football game October 24, 2014. Cary-Grove won, 47-7. 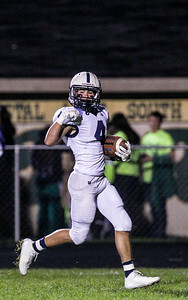 Sarah Nader- snader@shawmedia.com Cary-Grove's Matt Sutherland celebrates after Cary-Grove won Friday's football game against Crystal Lake South October 24, 2014. Cary-Grove won, 47-7. Sarah Nader- snader@shawmedia.com Bob Lemond (center), 17, of Crystal Lake performs with the Crystal Lake South marching band during Friday's football game against Cary-Grove October 24, 2014. Cary-Grove won, 47-7. Sarah Nader- snader@shawmedia.com Cary-Grove's Matt Sutherland runs a play during the fourth quarter of Friday's football game against Crystal Lake South October 24, 2014. Cary-Grove won, 47-7. 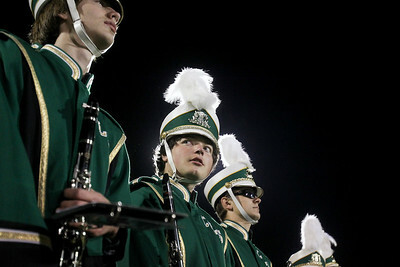 Bob Lemond (center), 17, of Crystal Lake performs with the Crystal Lake South marching band during Friday's football game against Cary-Grove October 24, 2014. 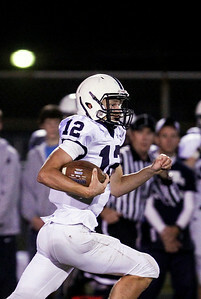 Cary-Grove won, 47-7.